The opportunity for imagers is to support retailers and brands as they attempt to tell a relevant and cohesive brand story to consumers across a multitude of platforms, formats and environments. SGIA recently sat down with Eleni Barefoot, of GraphicsOne, LLC; Nick Buettner, of ArjoWiggins; Doug DeWitt, of Conde Systems, Inc.; and Rich Egert, of OKI Data Americas to discuss how today's decorators are addressing these changes and their challenges. SGIA: How are digital transfers enabling traditional garment decorators to meet the ever-changing needs of today's clients? Eleni Barefoot: Digital transfers enable garment decorators to print on demand. For instance, not only do today's heat transfer printers possess the ability to print one graphic every two seconds, they also create cost effective, quality products on demand. This means that in an ever-competitive market, traditional garment decorators do not have to turn away small quantities or unusual orders. They can commit to the order with the surety of a quick and profitable turnaround. Nick Buettner: Digital transfers are allowing vendors to produce shorter runs without the costs once associated with digital transfer, and at a quality level that far exceeds what was available in years past. Doug DeWitt: Digital transfers give garment decorators the ability to stay "on point" and "on message." If we use the last election cycle as an example, traditional garment decorators using traditional printing methods may have been "on message" Tuesday, but the topic would completely change by Thursday, rendering all of their preparation work, and current inventory, useless. Simply put, in a world dominated by Internet blogs and 24-hour news cycles, digital decorators can easily keep up with the times. They can take advantage of trends and topics as they happen - in real time. Rich Egert: The biggest thing that digital transfers are doing is expanding transfer media and substrates, and delivering short-run capabilities that have never before been available. 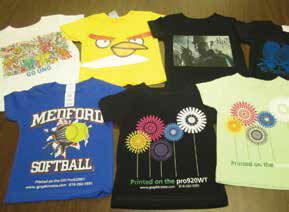 Digital production allows garment decorators the ability to cost-effectively produce customized solutions, and quickly. Digital transfer technology also can break down the barriers to access the use of color - without penalty. SGIA: What are some emerging trends in digital transfer materials for 2013? Barefoot: Digital transfer enables flexibility within garment decorating. With transfer solutions, people are no longer limited to cotton with DTG or polyester with dye sublimation. As such, unique substrates are being utilized as blank canvasses for creative design. Buettner: The trends are for more variety in patterns and effects, as well as for different attributes of the transfer, e.g., stretch, hand, washability and low-temp transfer. DeWitt: You will likely see two big trends in 2013: More self-weeding transfer papers, and heat-applied vinyl materials. More manufacturers are committing to producing self-weeding transfer papers that deliver "screen print" quality. 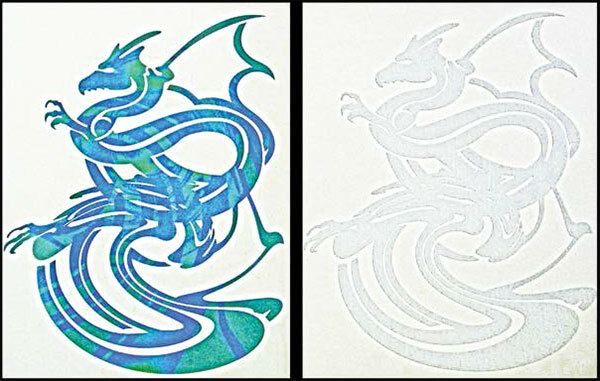 While these papers may have some limitations, more digital decorators are turning to self-weeding papers over traditional solid-film transfers. Heat-applied vinyl material will continue to grow, as long as clients demand more customization. I know many digital decorators who employ both self-weeding papers and heat-applied vinyls to create brilliant effects on garments that traditional printing methods cannot deliver. Egert: Our focus is to continue to expand additional substrates from the traditional polyester and cotton into other mediums such as leather, wood, metal, glass and ceramic to name a few. In addition, we expect to expand the ability to print on dark colors. SGIA: How are these trends giving garment decorators a competitive edge? Barefoot: Instead of investing in expensive, maintenance-intensive equipment with narrow applications such as direct-to-garment printers or dye sublimation printers, low-cost digital transfer printers offer a wide array of applications. Traditional garment printers can use their toner transfer machines to print one sheet or 500 sheets of transfer paper on demand for garments, hats, mugs, and more, giving them the flexibility to always say "yes." Buettner: With a more flexible short-run solution, decorators are able to offer their customers a wider range of products while maintaining a healthy profit margin. DeWitt: The competitive edge these trends deliver is the ability to greatly diversify product offerings for their clients. With mass production methods, you limit the styles you can offer. With digital production methods, the number of styles and variations are only limited by the imagination of the decorator. For example, with digital transfers, the cost is in the amount of coverage in the design, not the number of colors within that design. This allows for the creation of complex designs and eye-popping artwork that can be offered in limited runs, which only adds to the perceived value of that garment. Egert: With the expansion of mediums and capabilities from these technologies, garment decorators now have options that were previously not available. For instance, the introduction of thermal transfer foiling and white toner for dark shirts delivers creative expansion that is not available through traditional garment decorating or dye sublimation processes. Advancements in transfer techniques now also provide capabilities to deliver 100 percent coverage, and a distressed look (cool peel versus hot peel techniques), if desired. SGIA: What are the biggest benefits of digital transfer printing? What are some drawbacks? Barefoot: The biggest benefit of digital transfer printing is versatility. The speed of output, low cost of entry and zero maintenance also make this technology stand out. One small drawback of toner transfer is the hand (feel) in some cases, though it is heavily dependent upon the transfer paper being used. Weedless papers feel similar to screen print, while vinyl contour cut media may have a heavier hand. The second drawback is that toner transfer will not offer the same durability as dye sublimation, though it is on par, if not better than DTG. Buettner: One of the largest benefits to digital transfer printing is the digital quality printing output. Digital transfer printing is also variable-data friendly, good for short runs and can provide quick turn-around times with little or no set up costs. In terms of the drawbacks, it is still more costly than screen or lithographic transfer or direct screen printing, and does not have the same vibrancy or durability (except sublimation). This form of digital printing is also slower than any of the mechanical processes. DeWitt: One of the biggest benefits of digital transfer printing is that equipment cost is minimal when compared to traditional printing methods. With transfer papers, you are using standard printers with their original configurations and consumables. Also, the learning curve and labor involved is minimal. An established garment decorator can add this technology to their business mix without the need for extensive training or dedicated labor. Most digital decorating systems are designed for use by a single operator. 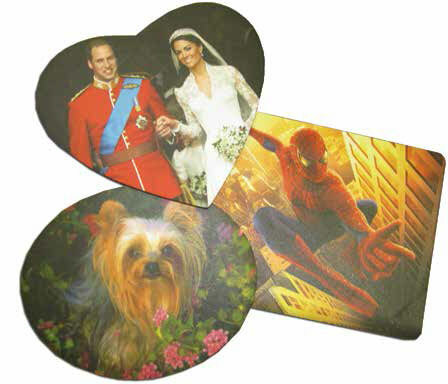 The main drawback to most digital decorating printing is that the equipment used is not originally designed for this industry. Therefore, most digital decorators have to rely on self-training. When issues arise with the printing equipment, it is difficult to get support from the original manufacturer. It is essential that a digital decorator partner with a reliable distributor or reseller that knows how to adapt existing equipment to the digital decorating market. Egert: The major benefits to digital transfer printing include a low barrier to entry/access, personalization/customization, the ability to produce short runs, an unlimited color pallet, extreme media/substrate flexibility and fixed costing. The process is also clean, fast, versatile, requires less space and no drying time. One challenge is limitations to size. SGIA: What are the fastest-growing decoration segments in the digital transfer market? Barefoot: The T-shirt and garment markets are undoubtedly growing at a tremendously fast rate - garment decorators, screen printers and even sign shops have no reason not to increase their competitiveness when they are looking at a minimal investment with the possibility for an immediate return on investment. Buettner: Sublimation is still probably the fastest growing segment of digital transfer. There are some new processes emerging that combine both the digital quality and short-run capability with the screen cost and durability. Those processes might be the next big thing for the digital mass-customization market. DeWitt: It depends on the specific market. In the sports apparel market, heat-applied vinyls are huge. However, due to the growth of sport-performance polyester materials, sublimation printing is really starting to gain traction with its ability to permanently dye these materials. In the retail apparel market, there is growing demand for rhinestones and other "fabric jewelry." While the process can be labor intensive, customers are demanding more of these garments, making this market segment very rewarding for decorators willing to commit the time. Egert: In the T-shirt segment, the marketplace is adopting digital technologies the fastest. We are, however, beginning to see the trophy/award, sign and plaque markets jumping on board, as well. This article appeared in the SGIA Journal, April/May 2013 Issue and is reprinted with permission. Copyright 2012 Specialty Graphic Imaging Association (www.sgia.org). All Rights Reserved.